Tottenham Hotspur striker Harry Kane has signed a new contract that commits him to the London club until 2024. England captain Kane scored 30 Premier League goals to help Spurs finish third last season. 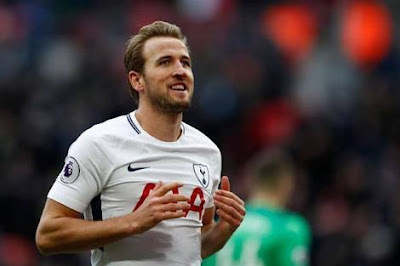 Tottenham wrote on their Twitter account: "We are delighted to announce that Harry Kane has signed a new six-year contract with the club, which runs until 2024." Kane's decision to sign the new deal comes after manager Mauricio Pochettino put pen to paper on a contract that keeps him in North London until 2023. "I've just signed a new contract. I'm delighted with that, and I can't wait to see all you fans in the stadium next season," the striker said. He signed his previous contract -- which ran until 2022 -- in 2016, but the club moved to tie him to new terms amid reported interest from Real Madrid. Spurs used footage of their new stadium and its giant screen to break the news of Kane's deal. They are due to move into the ground next season after playing last season's home matches as Wembley Stadium.